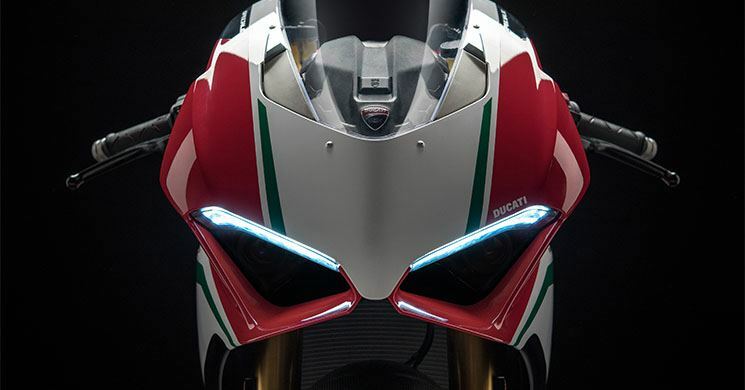 The new and expected Ducati Panigale V4 Speciale will arrive next year in three versions: the standard V4, the V4 S with electronic Öhlins suspensions and forged aluminum wheels, and finally a variant that Ducati has named Panigale V4 Speciale, which also to incorporate all the improvements of the V4 S adds a list of exclusive accessories (mudguards in carbon, Alcantara seat, grips, handles …) and a racing kit that improves the performance of your Desmosedici Stradale engine in addition to facilitating its entry into circuit . The engine of the Panigale V4 S is identical to the rest of the V4 range: an engine derived from the Desmosedici of MotoGP with four cylinders forming a V to 90º that cubes 1.103 cc and is capable of delivering 214 hp at 13,000 rpm. 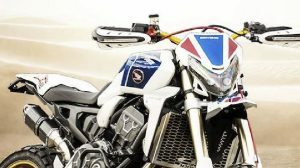 This Speciale version also includes an exhaust system developed by Akrapovic, made entirely of titanium and exclusive for the track, which increases the power of the engine to 226 hp. 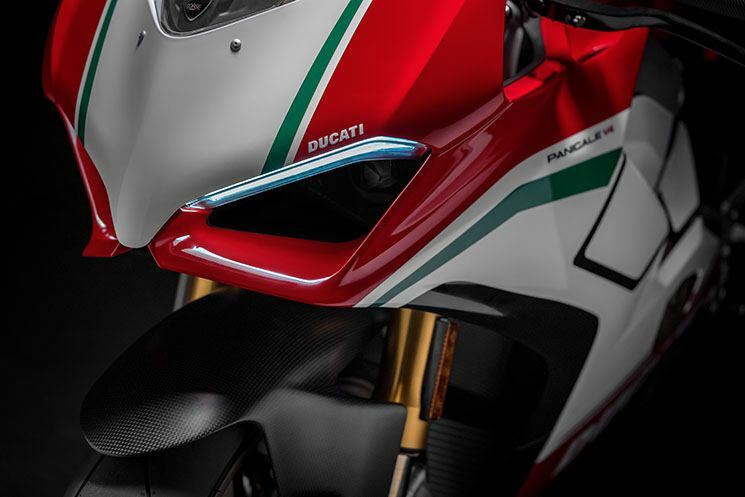 The new aluminum Front Frame frame released in the Panigale V4 allows reducing the structure of the chassis to the minimum expression, taking advantage of the engine as one more element to fix the rear subframe and the single-arm swingarm. The weight of the new Front Frame chassis is 4 kilos, leaving this V4 Speciale with a dry weight of 174 kilos (1 kilos less than the standard V4). Protection of the brake lever. 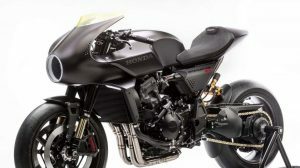 In addition, in order to take advantage of its performance on the track, the customer receives a racing kit that includes, in addition to the aforementioned Akrapovic exhaust, a sports dome, a kit to remove the license plate support, mechanized plugs for the hollow of the rear-view mirrors, an exclusive case, a gas cap and the Ducati Data Analyzer + GPS. This system evaluates the performance of the motorcycle and its rider by graphically presenting the specific information channels: it monitors the pilot’s performance, in addition to automatically recording and displaying lap times when the Ducati Panigale V4 Speciale crosses the start and finish lines. It stores a large number of data channels including throttle opening, vehicle speed, engine speed, selected gear, engine temperature, distance traveled, revolutions and the DTC index. 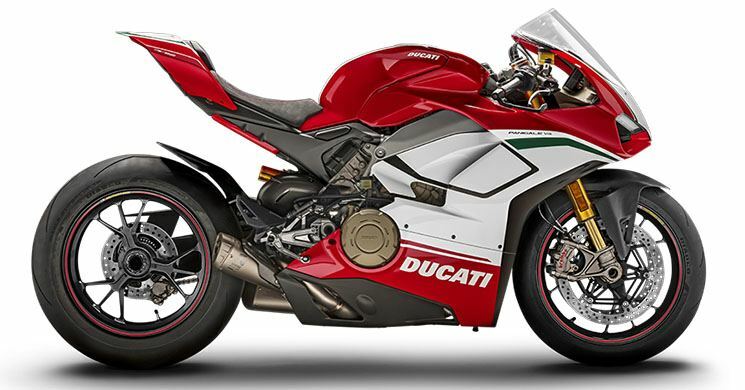 For the rest, the Ducati Panigale V4 Speciale shares the other exclusive elements of the V4 S, such as its Öhlins NIX-30 fork and TTX36 shock absorber (both managed by the Öhlins Smart EC 2.0 electronic control unit), a Öhlins steering damper, rims forged aluminum and lithium-ion battery. Its recommended price in Italy is €39,900. 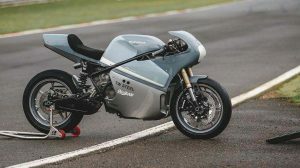 Its availability and price are yet to be confirmed by Ducati.